This year’s Daytona 24 Hours featured some of the worst weather the race has seen in ages. It was an awful, torrential downpour and some team owners really feared for the safety of their drivers. Still, the race pressed on for as long as it could, until it was finally red-flagged. At the time of the red flag, the No. 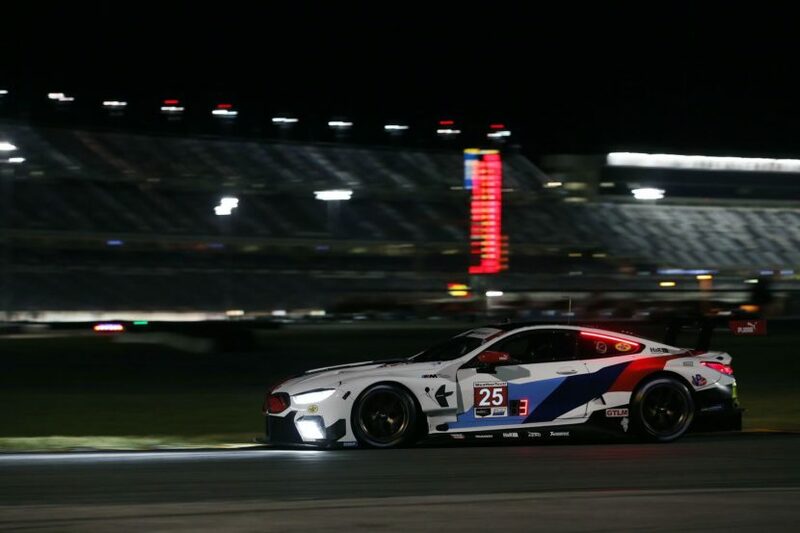 25 BMW M8 GTE, helmed by Augusto Farfus, took the win for the GTLM class. The No. 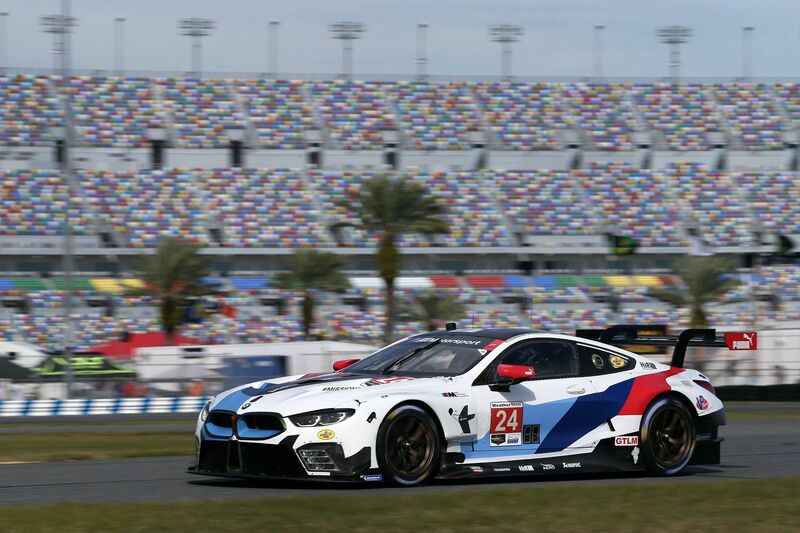 25 BMW M8 GTE was driven by the team of Connor de Phillippi (USA), Augusto Farfus (BRA), Philipp Eng (AUT) and Colton Herta (USA) and they all had some impressive driving on display. Although, it’s been said that the M8 GTE didn’t seem as if it was as fast as some of the other cars in the race. Mainly, it took the GTLM class due to driver heroics, as all of its drivers kept it away from trouble and stayed in the race. When the opportunity struck to take the lead, Farfus took it at the right time. Farfus got ahead of James Calado in the No. 62 Ferrari and was still in the lead for the GTLM class when the race was called and ended. That left the No. 25 BMW M8 GTE as the winner for its class with Fafrus behind the wheel. While the big news for BMW going into the race was Alessandro Zanardi, who drove the No. 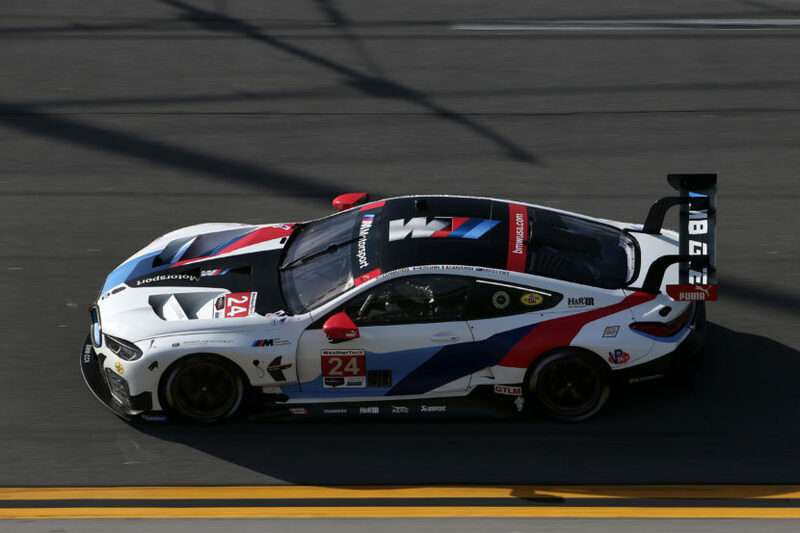 24 BMW M8 GTE, he ended up unfortunately having some technical difficulties. We recently learned about Zanardi and his new steering wheel and technology that allow him to operate the car without the use of his legs. This was, after all, the first North American race for Zanardi since his 2001 crash in which he tragically lost his legs. Unfortunately, though, Zanardi’s steering wheel had some complications at first, when it wouldn’t snap into place. Thankfully, the second wheel did end up working and Zanardi did get his stint in. While Zanardi’s car, co-piloted by John Edwards (USA), Jesse Krohn (FIN) and Chaz Mostert (AUS), the BMW Team RLL did get a class win thanks to the No. 25 car and Augusto Farfus.